We’ve made it to the last weekend of January. Now get out there and listen to some live music. Along with singer-songwriter the Co Founder (Hayden Eller), the City Hall drives their sad-dude lo-fi rock through Jones Radiator tonight for what they’re calling the Corps of Discovery Tour. Although original City Hall members Luke Hogfoss and Casey Dunau started making music in Bellingham, they moved to Seattle last summer to try their hand at getting a little more famous. While the band can swell to a five-piece, its core remains the original two guys. The act will clearly have to play their gorgeous recent single “Palouse 509” while here. Also take note that the Co Founder’s summer release Old Programs/New Beliefs is worth a couple of spins. The show is free and starts at 9 pm. Mama Doll, after losing one of its singer-songwriters last year, is still going strong. After taking some time off from performing, the four-piece takes on the Bartlett tonight at 8 pm for $10. Moorea Masa opens. The band also plays Taps at Schweitzer, from 4 pm-6 pm Saturday. Bringing his full band to the Bartlett Saturday, Seattle musician Kris Orlowski is back in town to give us yet another taste of his indie singer-songwriter music. For all of those Beyonce’ fans out there, Orlowski’s cover of “Halo” is even more angelic than the original (not that he’s able to sit some of the same diva notes). Meanwhile, the Bartlett owners play their first show at the Observatory with their indie rock act Cathedral Pearls. The $5 show includes Mondegreens and Lukas Brookbank Brown. If you haven’t checked out the new downtown music venue yet, now is the time. Starts at 9 pm. 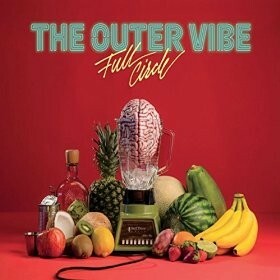 The cover art of the Outer Vibe’s latest album Full Circle features a brain in a blender surrounded by pineapple, coconuts and mangoes. That’s how it feels when you listen to this music — which they describe as cinematic surf disco — like your noggin is getting chopped and smoothed into a musical piña colada. It’s untamed rock packed with summery hooks and loud trumpet and ’60s-sounding good feelings (even during the ballads). You never know what will happen next — there’s even a track called “Mystery.” The five-piece out of Grand Rapids, Michigan, is clearly trying to make listeners smile and dance and forget about their troubles, at least for a little while. At the band’s Checkerboard free performance next Monday, the smiling, dancing and forgetting should come all too easily. Show starts at 9 pm. ALSO: For anyone headed to Leavenworth this weekend for the Timbrrr! winter music festival, be advised that weather is looking terrible, because it's winter.